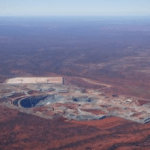 St Barbara has reduced its gold production target at the Gwalia mine in Western Australia, while also bearing higher all-in sustaining costs. 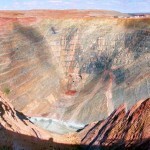 The company’s production at Gwalia in the 2019 financial year is now anticipated to be between 235,000 and 240,000 ounces, down from 245,000 to 255,000 ounces. St Barbara reported that commissioning of a paste aggregate fill (PAF) circuit at Gwalia has been delayed from the second quarter to fourth quarter of the financial year, impacting its gold production target adversely. Gwalia’s all-in sustaining costs also rose from $930–$970 per ounce to $980 to $1000 per ounce during the same period. St Barbara has, meanwhile, completed the feasibility study (FS) for Gwalia’s mass extraction project. The study evaluated three alternative haulage methods and showed that optimised trucking is the preferred option compared to either hydraulic hoisting options. Continued trucking will suit the deepening Gwalia orebody and extend the mine life to the 2031 financial year, with mining at up to 1.1 million tonnes per year using existing resources and reserves. “The feasibility study outcome favouring the trucking option is clear. 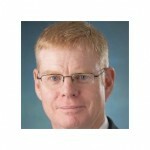 Trucking at further depth is the superior way forward,” St Barbara chief executive Bob Vassie said. St Barbara will continue investigating how to best optimise its truck fleet and ventilation design. The site’s production in the 2020 financial year will remain constrained until additional ventilation from the Gwalia extension project is available in the first half of 2020.